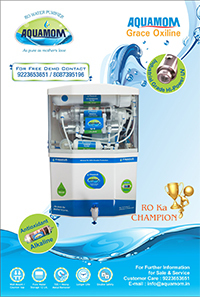 AQUAMOM™ CRYSTAL is a compact water purifier with an elegant wall mountable design, best fit for Indian kitchens. It saves expensive counter space and provides convenience while drawing water. Also the storage tank shows the level of water in it. It comes with a 7.5 liter in-built storage tank thereby ensuring purified water on tap all the time.